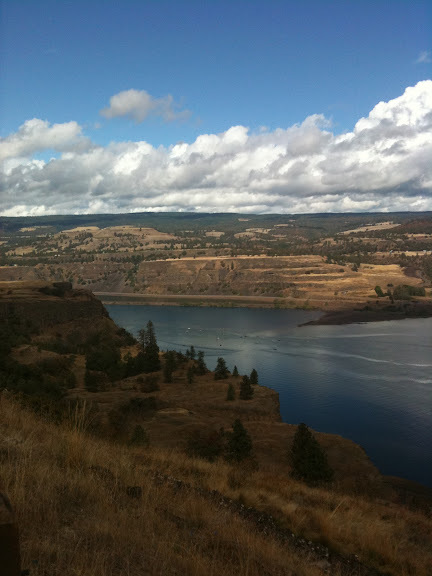 This entry was posted in Geology and tagged columbia river, columbia river gorge, flood basalts, missoula floods by glacialtill. Bookmark the permalink. I refer to Oregon’s most ubiquitous and abundant rock type as BUR- black ugly rock- with kids, and GDB- gosh-darned basalt- with adults. It does get awfully old awfully fast. But there are non-basalt units in the gorge, and they can be awfully interesting. The Eagle Creek Fm. has lots of petrified wood, for example. There’s a very nice stump in the middle of the trail at Eagle Creek that looks like just a big rock. I don’t remember exactly how far in it is, but not too far, maybe 200-300 yards. I’ll have to check out the Eagle Creek Fm. I think read something about it out of The Roadside Geology of Oregon.